Across the Hall in 2nd: Five for Friday!! It must be summer break b/c I am blogging! And not only am I blogging, but I am actually posting my Five for Friday (first one in foreverrrr) on a Friday! 1. You may remember, from one of my sporadic school-year posts, that I am expecting our very first bundle of joy this coming September! With the exception of a pretty difficult first trimester, this pregnancy has been wonderful and I am so loving being pregnant! I'm almost 30 weeks and still sleeping through the night and only peeing 792 times a day, so I call that a win! Week 28 seems to have brought on "pregnancy face", or maybe it was just the humidity. The caption for week 28's chalkboard says, "Wedding rings are barely on." And well, they're almost never on, but I blame the summer heat more than pregnancy weight gain...at least that's what I hope it is! 2. In related baby news, we've decided to take the plunge and try to cloth diaper our little one! (No naysaying comments, please!). We are choosing to cloth diaper for a few reasons, the first being the financial aspect. I will be taking some unpaid time off of work, so pinching pennies where we can will be extremely helpful. The second being environmental impact. I don't know if it's this little one growing inside of me, but I have definitely become more environmentally conscious lately. Not that I drove a hummer, drank only from plastic water bottles, and ran my air 24/7 before, but I have definitely stepped it up a bit. We're not turning to vegetable oil to fuel our cars or giving up cable television anytime soon, but I like being able to do my part for this planet this way. We'll see how it goes. If it's an epic fail I've read that newborn cloth diapers have excellent resale value. And if it goes as well as we hope, well, my baby will have one cute little bum for the next few years of his/her life! 3. In non-baby news, I'm finally getting back on the TpT bandwagon. It's been awhile! Mostly due to my laptop crashing and needing the Geek Squad to get all my stuff off of it! We had been backing up my computer on a pretty regular basis, but somehow missed some important documents (read: clip art) and we needed the help of the professionals! It was hard to create products knowing the perfect background was on my other computer, so gave it for awhile! I am thisclose to finishing my Non-Fiction Passages. I hope to have them posted by the end of the month. These passages will complete my Reading Passages Bundle, so if the bundle is something you're interested in, grab the bundle now! The price goes up once I add these, so if you purchase before, you get the Non-Fiction Edition for FREE! 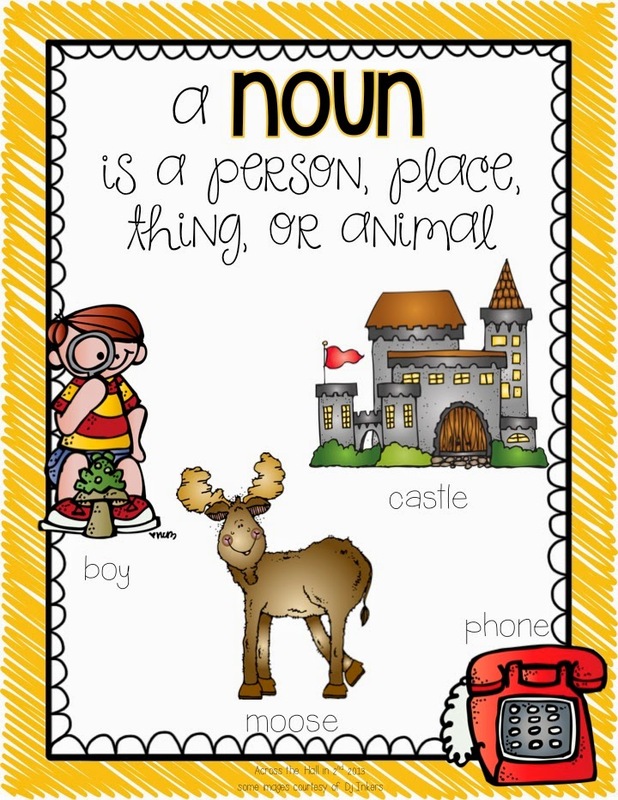 I'm also adding the finishing touches to this Noun Unit I started waaaay back in 2013. Seriously! It took so long mostly due to the aforementioned computer crash, but also because I used it along the way with my class. 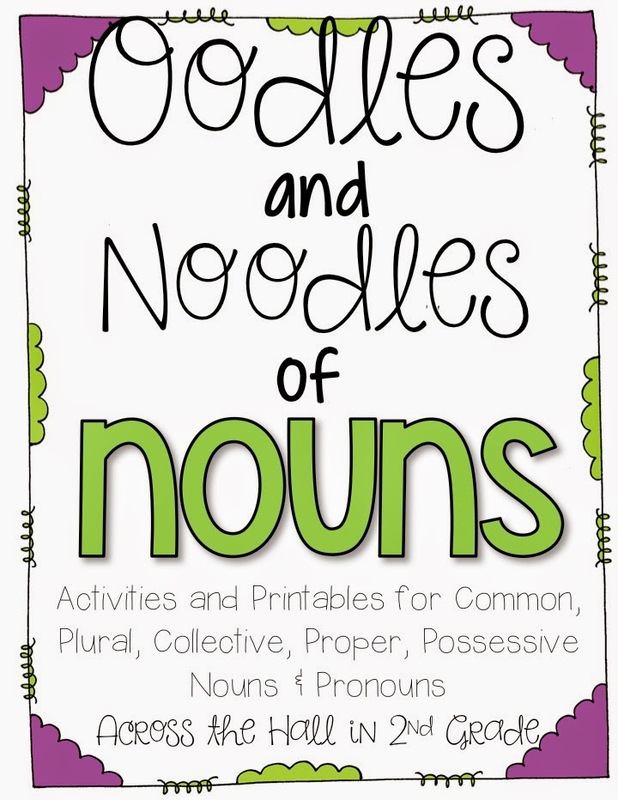 So this Noun Pack is a real tried and true product! 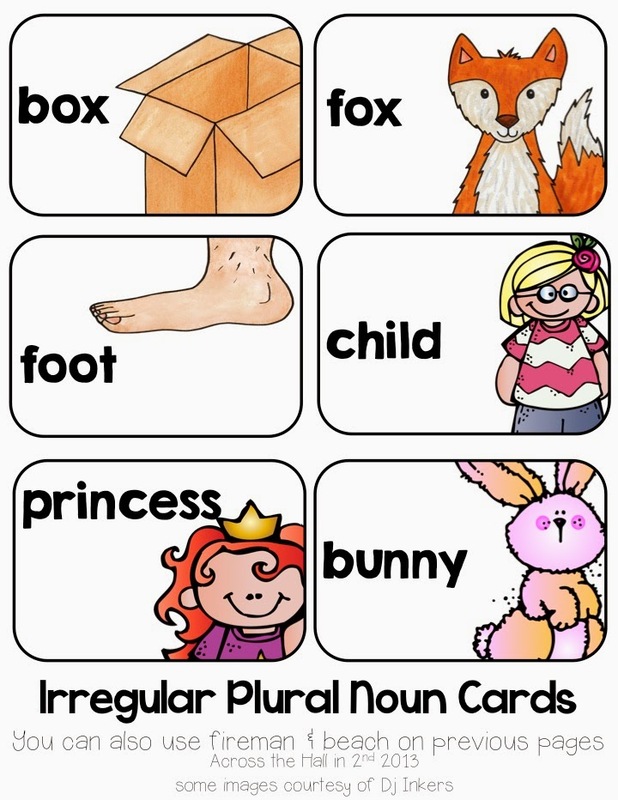 But the best part of the pack is that it comes with tons of "noun cards" that your students can use many different ways. It makes the unit truly interactive, engaging, and fun! Keep your eyes peeled for this one! 4. 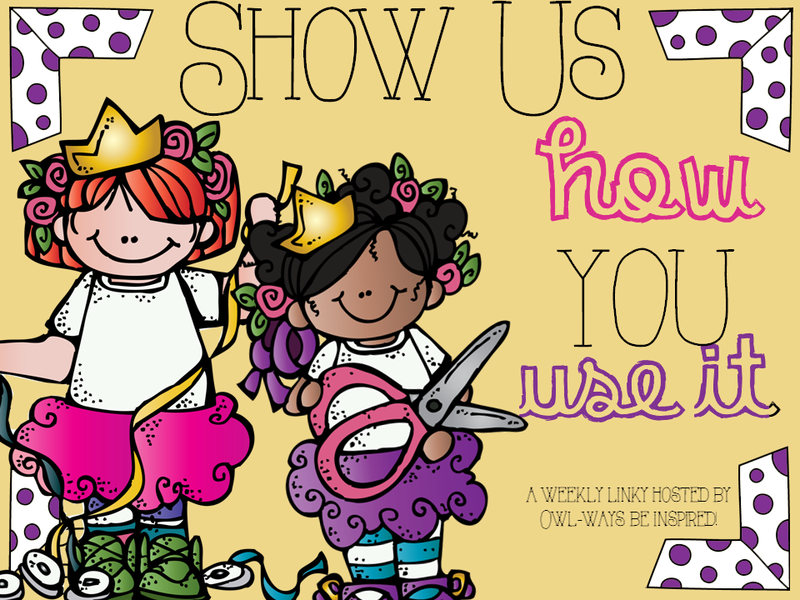 In semi-TpT related news, my favorite Owls are hosting a fun and useful linky called "Show Us How You Use It". We're taking common household items and showing you how we use them in our classrooms, then giving you a chance to link-up with your own ingenious uses for things like popsicle sticks and aluminum cans. Earlier this week, I showed one of the ways I use clothespins in my classroom: Clothespin Math! 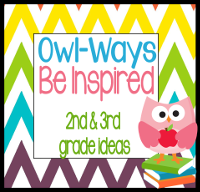 It's so easy and such a great way to address different skills in your classroom! Click the link down below to read all about Clothespin Math and grab a freebie to kick it off in your classroom! 5. We made these chicken fingers for dinner the other night and fell in love, so I thought I'd share. Dave is a true miracle worker in that he can actually get oven-baked chicken fingers to come out really, really crispy. So in our house, he is definitely in charge of all future oven-baked chicken finger recipes. 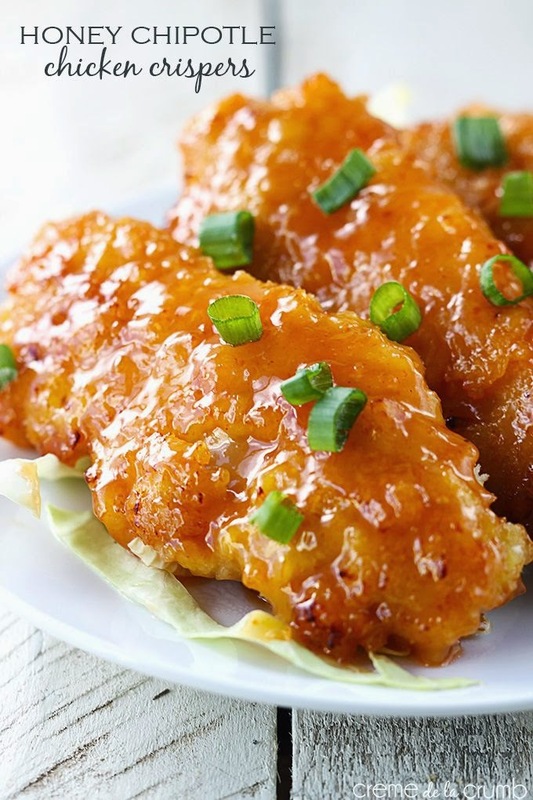 PS: Yes, we did sprinkle green onion over the top! PPS: I think you should totally follow me on Pinterest...especially if you like food, because I love food!! Click here to follow me! Oh, click the picture below to grab your clothespin math freebie!! Thanks for stopping by and remembering I actually had a blog! Hope you're all enjoying your summer! 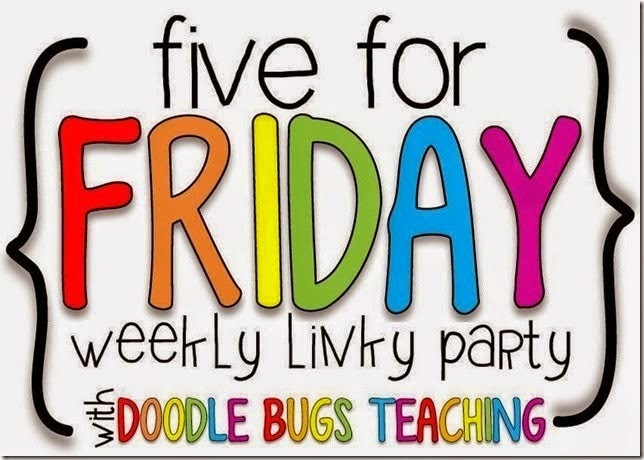 Go link up with DoodleBugs and share your five things from this week! WOW..you look beautiful! I'm so happy for you! Keep us posted. Smiles and stop by anytime! Congrats on your little one. I loved being pregnant (after the 1st trimester). WE wanted to try cloth diapering, but couldn't bring ourselves to do it. WE are lazy lol! You are so stinkin' cute! Your pregnancy agrees with you. I can't wait for your Non-Fiction pack. 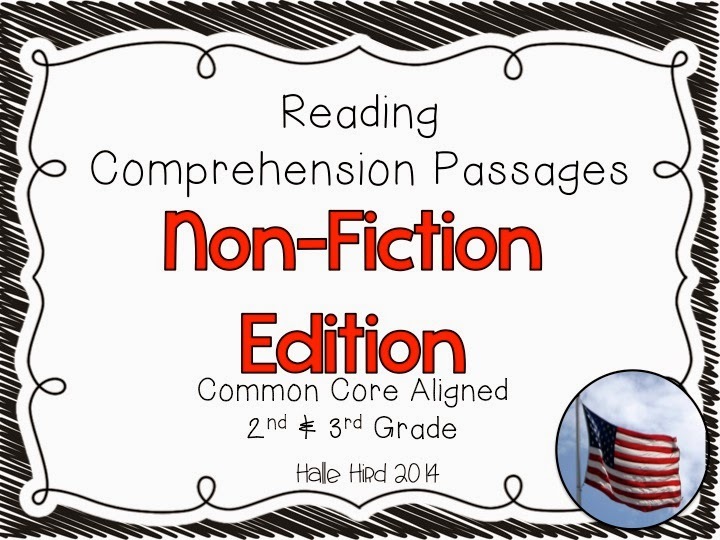 I have all of your other reading comprehension packs! I love them. 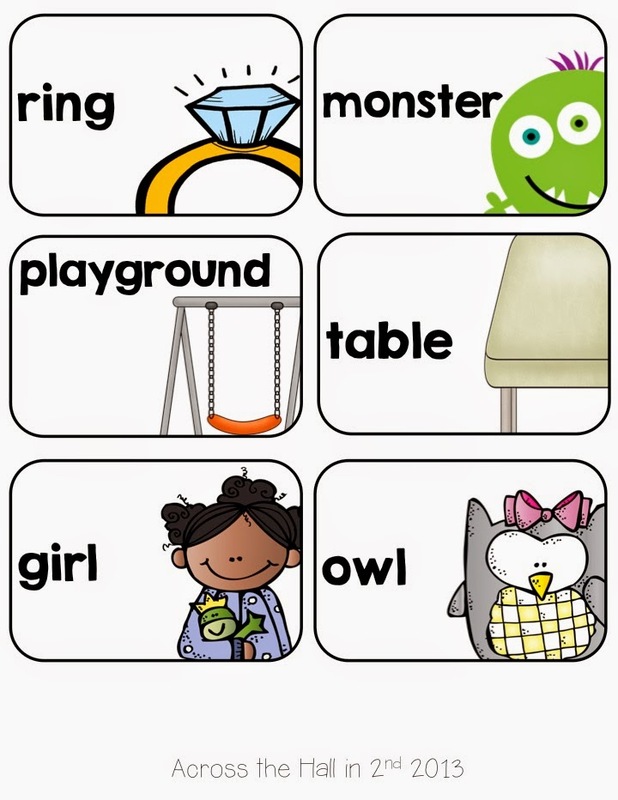 I have been using them as part of my student's homework. Oh my gosh you're adorable :) I love your baby bump pictures and I hope things continue to go well! Can't wait for your new products! Oh that noun unit looks amazing! Love your weekly pictures- they are going to be so great to look back on! I'd love the secret for crispy chicken, if Dave will share!! I'm with you on finally having time to blog this summer. I'm 35 weeks pregnant and just couldn't find the time to blog and work on school stuff. Enjoy your week! Love your precious pregnancy pictures! You look great. Thanks for the clothespin math idea. Can't wait to try it! I just hit 16 weeks and I HAVE to steal your adorable photo idea! :) Congrats on being able to sleep through the night my friend! Good luck with the diapers- you're braver than I.
Yeah for cloth diapers! I used them for my first and still use them for my second little girl. They are so much easier to use then people think. Let me know if you have any questions about them. I highly recommend getting the sprayer that attaches to the toilet. You look so cute!! Congrats! Haha love your "pregnancy face" comment! I totally feel you! Mine had it's appearance WAY early! Like 24 weeks! And my rings are so tight too! But like you said, it's ALL the summer heat ;) I'm hoping to make the whole pregnancy with them on. So far so good and I'm 37 weeks today! I'm so excited for you and so happy that we are BOTH pregnant! :) So thankful for our miracle babies!!! I'm sorry to hear about what happened to your laptop. I hope the damage isn't too bad that it will require replacement. I also hope that you've salvaged enough to set yourself up again in a new laptop or some other. All the best!